Lemley Yarling Management Co was formed in 1986 and offers investment advice and money management services. Lemley Yarling Management Co, a State of Wisconsin registered investment advisor, provides investment advice to those clients who wish to have a complete financial relationship. Lemley Yarling Management Co provides individualized portfolio management services for investors who want professionals they know, to manage or share the management of their investments. Accounts are managed on a discretionary basis. The minimum initial size for accounts is $200,000. Lemley Yarling Management Co currently manages about $25 million. The normal management arrangement is an annual fee of 1% of assets under management. When transactions are made in the managed accounts the commission rate per transaction is $7.50 plus 2 cents per share. Lemley Yarling & Co, a FINRA-registered broker-dealer, acting solely as an agent to execute trades, provides execution services for Lemley Yarling Management Co clients at the rate of $7.50 plus 2 cents per share. Ralph Lemley (Bud) graduated from Georgetown University in 1965 with a degree in economics and began his business career that year in the operations department of Wayne Hummer & Co., a NYSE-member firm located in Chicago. After becoming a registered representative in 1967, he handled individuals' accounts and established the firm's bond department. In 1971, he interrupted his securities career to own and operate a small dairy farm in Wisconsin and publish a weekly newspaper. Upon returning to Wayne Hummer & Co., in 1977, he again handled individuals' accounts, while also reorganizing the firm's stock trading department and creating what is now a $1 billion plus management company/ mutual fund complex. He became a partner of the firm in 1981. In April, 1983, he resigned his partnership to join The Chicago Corporation, as a Senior Vice-President and began formal publication of the Lemley Letter. 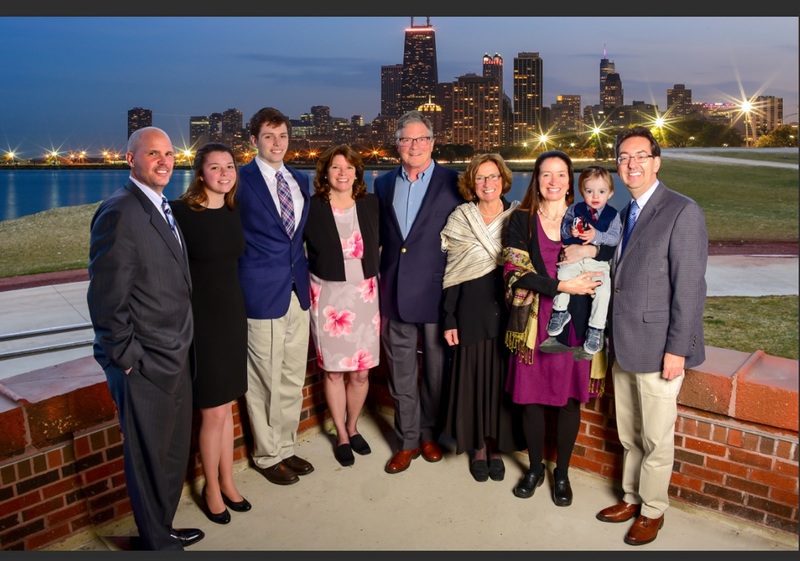 In 1984, Bud, Kathy, and Don started Ralph J. Lemley Management Co., and in October, 1986, they left Chicago Corp. and established Ralph J. Lemley & Co. In April, 1988, the name of the companies were changed to Lemley Yarling Management Co, and Lemley Yarling & Co.
Kathleen Pinto Cannova (Kathy) began her securities career in April 1974 and worked in all phases of the retail brokerage business. In 1986, Kathy and Bud and Don Yarling founded Lemley Yarling & Co (Kathy didn't want her name on the door!) She was a director of Lemley Yarling Management Co and managed the day to day operations until she died from lung cancer and related treatment side effects, June 29, 2017. For 31 years Kathy ran the back office operations of the firm and will be greatly missed. Donald Yarling (Don) was a founding owner of Lemley Yarling & Co and an integral part of the firm from 1986 until his death from AIDS in April 1994. Don attended the University of Missouri until 1972 and graduated from the University of Illinois in 1974. He began his securities career at the Chicago firm of Blunt Ellis & Simmons Inc. the following year. After joining Wayne Hummer & Co. in 1977, he worked in the operations department until 1981, when he joined Bud to create the Wayne Hummer Money Fund. As portfolio manager, he was responsible for credit analysis and trading strategy. Under their management, the fund received an AAA rating from the Standard & Poor's Corp. In 1983, Don became manager of Wayne Hummer's bond department. He joined The Chicago Corp. as Vice-President in May, 1984, and established a private investors' fixed income unit. Don joined Bud and Kathy in founding Lemley Yarling & Co. in 1986. Kathryn Lemley (Katie) graduated from Georgetown University in 1966 and earned a MSN from Loyola University in 1983, and a Ph.D. in Nursing Science from the University of Illinois at Chicago in 1999. She is a consultant for Lemley Yarling Management Co. Unless directed otherwise, all managed accounts are maintained at RBC Capital Markets LLC, a New York Stock Exchange - member firm, which is the clearing correspondent for Lemley Yarling & Co (LYC). LY&Co has a contractual agreement with RBC Correspondent Services (RBC CS) to serve as our clearing firm. This fully disclosed agreement states the responsibilities of each party. Prior to the agreement becoming effective, RBC CS is responsible for making all disclosures to our firm's designated examining authority as required by NYSE Rule 382. Each client of our firm is notified of the relationship via a disclosure letter. The disclosure letter details the responsibilities that our firm (the introducing broker-dealer) and RBC CS (the clearing firm) have to the client. Although client assets are held by RBC Capital Markets, LLC, neither RBC Capital Markets, LLC, nor RBC CS has responsibility for the financial condition or performance of our firm or our Financial Advisors. Our clearing firm, RBC Correspondent Services, is a division of RBC Capital Markets, LLC. RBC Capital Markets, LLC, is a member of the Securities Investor Protection Corporation (SIPC). SIPC is a nonprofit membership corporation funded by its member security broker-dealers. SIPC protects the securities clients of its members in the event of the failure of a member firm. SIPC reimburses clients the cash value of their securities up to $500,000 per client. Any cash in a client's account would be reimbursed by SIPC up to $250,000 (reducing the $500,000 above). RBC Capital Markets, LLC, has purchased an additional policy that offers coverage in excess of the protection provided by SIPC. This coverage covers additional securities and cash protection up to $99.5 million per client, of which $900,000 may be in cash. A $400 million aggregate limit applies to this additional coverage. RBC Capital Markets, LLC, also offers protection if a client's securities are missing because of theft by an outsider, computer fraud or theft by an employee for personal gain. In such cases, the firm's CAN$310 million Financial Institution Bond coverage would cover the client's losses, subject to that policy's terms, conditions and limits. Note: Neither SIPC protection, nor protection in excess of that offered by SIPC, covers a decline in the value of a client's assets due to market loss. Additional information is available upon request or at www.sipc.org. Our portfolio management follows an investment philosophy that buys good quality stocks when they are out of favor. This investment philosophy infers that all companies, no matter how smart the people in charge, eventually have problems with earnings or sales - either because of incorrect internal business decisions or because of external market forces. When this bad news hits the marketplace, selling occurs and the price of the stock drops. After a period of time, those who run the company usually solve the problem, earnings start to improve, institutions become more aggressive buyers on the good news, and the price of the stock goes up. Just because a stock is down is not a reason to buy. Rather, it is a reason to begin looking at the company's fundamentals. We stress book value, cash flow, low debt, insider ownership, previous market performance, and patience. Because of the volatility of the stock markets that we have experienced over the years during many market phases, we usually dedicate at very large percentage of a portfolio to short term U.S. Treasury notes or cash equivalents. From 2000 to early 2005 we altered our investment strategy because of the extreme volatility in stock prices that resulted from the tech bubble and its aftermath. As a result, we were very quick to take profits and losses and turnover in the accounts increased greatly. We maintained an unusually large cash position at times when we believed there was above average market uncertainty and risk. This rapid trading was not our preferred method of managing money since it places stress on us and on our clients. But we believed the stock and bond markets had become more of a casino than a place to invest for the long haul, and as long as the controlling interests in the stock markets are hedge funds and traders we were compelled to adjust our style. As a result we generated mostly short term profits. This fact has no effect on tax free accounts but it does affect taxable accounts. Our philosophy is that any gain is better than a loss and our rapid trading enabled us to enjoy great success over the 12/31/1998 to 12/31/2003 years. The Model Portfolio more than doubled in value while the S&P 500 was basically unchanged during that time period. Even many of our most conservative accounts rose over 50% during that time period. But times have once again changed. We were taken aback by the swift downturn of our portfolios in 2004 and early 2005 and so reexamined our trading philosophy. Times change and so do markets. Upon review, we noticed that our portfolio gains in January 2004 and in November/ December 2004 were in the low priced speculative stocks like those that had provided outsized returns the previous three years. But it was obvious that we were not quick enough in our selling to lock in those gains in 2004 and 2005 before the roof fell in. That's because the markets have become a casino where day to day trading is controlled by hedge funds. Thus we decided it was prudent to adjust our trading vehicles. And so that is why the portfolios - when we are in a trading mode - contain mostly big cap companies. We are neither prescient nor brave enough to catch by trendy stocks nor do we usually want to trade stocks making new highs or backing off new highs. We trade out of favor stocks that have value and the potential to gain when problems that are clearly recognizable are confronted. That doesn't mean that all the stocks we own will recover but we do expect the recovery of the majority of stocks. This market approach with out of favor value stocks worked well in the last century because there weren't computer programs that valued portfolios on an hourly or even monthly basis. This allowed investors to maintain holdings and weather corrections without the trauma created by seeing accounts and thus net worth drop by 10% to 20% during corrections. We have no answer for the minute by minute pricing of portfolios except to suggest that clients treat their investment portfolios as they do their homes' value- an investment that over time will rise. Two to three years out - or sooner- our investments will offer above average return. We know that long term holding of investments has been anathema to us over the past 12 years but because our timing crystal ball has cracked we believe our change in style is appropriate. There has been rampant speculation in the commodities markets in 2010-2011 and the minor popping of the silver and to some extent gold bubble has led to the correction in stocks as speculators and hedge funds turn to selling stocks to raise cash to meet raised margin requirements and cover losses. The uncertainty in Europe over the fate of Greece and Ireland and Portugal has added another worry for global investors. We consider those countries to be no more important than some of the states in the USA that are having financial problems but don't seem to be on the media radar as causes of worry for the markets. The continuation of China's economic expansion is another concern. We don't have the answer for any of these questions but all have created a great Wall of Worry. The S&P 500 while higher relative to the bottom in 2009 is lower than it was in 2000. Time has wrung the excesses from many stocks and housing and it will eventually in commodities. Oil is overpriced by 100% because of speculation not lack of supply. The opposition parties harping on the end of U.S. financial stability is an election tactic not a belief. Folks are fascinated by negativity-(e.g., murder; accident; sexual peccadillos). Media is ever-present and usually negative. And that negative media emphasizes the excesses to sell advertising not to inform. All this doesn't mean that stocks and portfolio values won't go down. But having survived 1974, 1982, 1987, 1990, 2000, 2008-2009 and the Flash Crash of 2010 it's obvious (or maybe "we are confident") that we can absorb, survive and profit from whatever the markets choose to give. Managing a portfolio requires a balancing act between client hopes and market risk. The Lemley Letter Model Portfolio stock selections usually perform as well as or better than the popular averages. But sometimes, most often when the markets are in a speculative phase, our total portfolio under performs the popular averages. So too with the performance of our managed accounts. That is because for the last 20 years since the 1987 crash we have always maintained a large cash/short term bond position in accounts. Portfolios that we construct for clients are meant to: participate in stock market rallies (stock portion); survive stock market collapses (cash, stock and bond portion); and allow the client to sleep nights. Our investing method differs from money managers who are given funds and told to seek the highest return by being fully invested in common stocks at all times. Those managers have a different objective than we, for they are trying to outperform the markets, period. Thus, if the markets are up 30% and the mutual fund is up 35%, that manager is a success. Correspondingly, if the markets are down 30%, and the mutual fund is down 25%, that manager is also successful. We, on the other hand, manage client funds with the intention of earning a satisfactory return on a risk-reward basis while hopefully mitigating the pitfalls of serious market declines. It's important to understand that the spectacular returns of hedge funds that are mentioned in the media may have been derived by taking spectacular risks, and/or because the time period shown encompasses a market low to market high. For example, the advertised 30% + annualized returns on "hedge funds" are obtained by being highly leveraged (investing with borrowed money). Leverage in these funds sometimes exceeds 10 to 1 ($10 borrowed for every $1 invested). In an investment account that contains all a client's available investment monies, an annualized return over 10% for any long period of time (five years or more) is a goal to strive for rather than a result to be expected. Again, the time period shown in advertising usually involves a market low to market high. Such a return is attained by being fully invested in common stocks in a roaring bull market. We take a much more conservative approach for most accounts that we manage that need monthly income checks, college tuition or are retired. Also the money in our managed accounts is treated as all the investment money that a client has to invest. We do not attempt to match the performance of aggressive capital appreciation funds, since we would have to be fully invested in common stocks that do not meet the requirements of our investment criteria during speculative market phases. We take a risk avoidance approach to investing rather than trying to "beat the market." Investing involves assuming risk. We tend to be cautious traders. In reviewing our conduct and willingness to assume exposure to market risk, it is obvious that we were more willing to assume risk for clients when we and they were younger than we are now. We raise cash whenever we perceive excess volatility and speculation entering the markets. Back in December, 1983, we added a Model Portfolio to the Lemley Letter. Unlike many stock market writers, we actually buy and sell and charge commissions and fees in our "Model Portfolios", rather than use the S & P Index as a proxy for stocks. We do this because our clients and most investors don't and shouldn't use futures, options, etc. Because all portfolios are "living" investments, they reflect the time period in which they were started and subsequent changes. Thus, when we open a new account we do not construct the new portfolio exactly as the Model because of various factors including, but not limited to: 1) A portfolio up 12 times in value over time and under our management can psychologically accept more risk than a new one now coming under management. 2) A long time client is more accustomed to our trading strategy than a new client. 3) No money is ever removed from the model portfolio while most of our clients have monthly, semi-annual, or annual income needs and 4) risk tolerances vary among clients. We use the Model Portfolio to show the performance of our investment advice. The Model Portfolio is an actual account funded with our own money. The Model is usually more aggressively managed than most of our client portfolios. When a client asked us why the Model Portfolio always seems to be more fully invested than his account, our answer was that the Model Portfolio never calls and asks for money, or why we bought or sold something. The Model Portfolio always loves us, appreciates everything we do, and understands that we can't always be right. PAST PERFORMANCE IS NO INDICATOR OF FUTURE PERFORMANCE. Lemley Yarling Management Co in bonds that we use in the stock market, i.e., buying low and selling high. When purchasing fixed income securities we usually buy U.S. Treasury securities. That's because U.S. Treasuries are of the highest quality - with no credit risk. The only two factors that affect the prices of U.S. Treasury bonds are maturity and coupon rate. In the bond market, we "buy low" by extending maturities (selling two year notes to buy five to ten year maturity notes) when we believe interest rates are relatively high (bond prices are low). When we perceive interest rates to be relatively low (bond prices are high), we "sell high" the five to ten year notes have risen in price and reinvest in shorter-term securities. This is because the longer the maturity of any bond or bond fund, the greater the price volatility. Therefore, when interest rates change, longer-term bonds are going to rise or fall in price to a greater degree than short-term bonds. And so, when we believe interest rates are low, we maintain a defensive position by only owning short-term, less than five year average maturity, U.S. Treasury securities. Unfortunately, most investors, when interest rates are low, reach for a small degree of extra current income by buying long-term bonds. Or worse, they buy high yield bonds, GNMA's, or high yield mutual funds. These "high yield" funds not only purchase speculative bonds, but the maturity on the bonds these funds own is usually fifteen years to thirty years. When interest rates rise and we are buying seven year U.S. Treasuries, those short-sighted, current yield-oriented investors, who purchased long maturity corporate bonds or high yield mutual funds when interest rates were low, have big losses in their bond portfolios and are locked into a low current yield based on prices paid. Fixed income investors, like stock investors, must consider both current yield and capital gains as part of a sound, prudent investment strategy. No fees, charges, or mistakes are hidden when a client deals with us. Our clients see all our fees and transaction costs, and the prices at which we purchase and sell securities, and all our winners, and losers. That makes us much more accountable to our clients, and much more careful in our management of our clients funds.